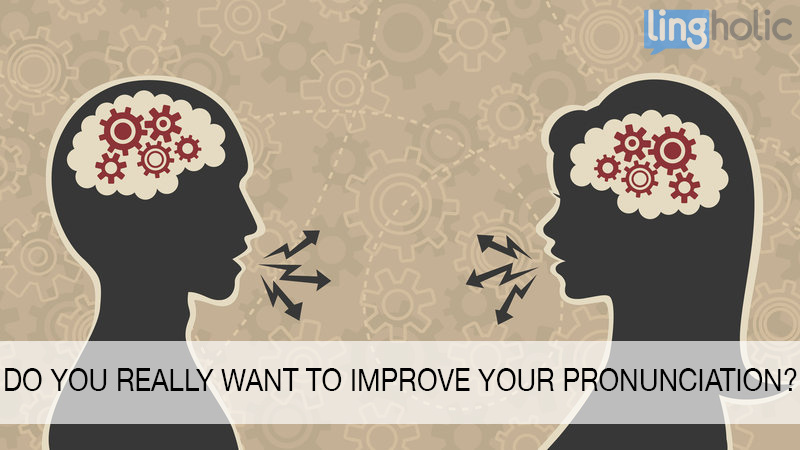 Do You Really Want to Improve Your Pronunciation? So what’s the issue here? Is age the ultimate cause of incomplete acquisition? Some researchers don’t believe so, arguing that a critical period for phonological acquisition may not exist. This is because the amount of variation in pronunciation attainment among adult learners, from largely unintelligible to native-like, suggests that age cannot be the only influence on attainment. Many of us probably know someone who learned a foreign language relatively late in life, and who has an unusually good pronunciation (Luca Lampariello is a good example!). On the other hand, many of us are probably familiar with the opposite case too: somebody with a pronunciation hardly intelligible. If both these types of people could, theoretically, acquire native-like pronunciation when they were young, why would they differ so much later into their adulthood? I’m sure you’ve heard before various tips about how to improve your pronunciation. Idahosa Ness, for example, is a pronunciation coach who encourages people to record themselves speaking a foreign language so as to develop self-awareness. Others, such as Steve Kaufmann, mention the importance of large amounts of passive inputs (i.e. listening). Others yet, such as Stuart Jay Raj, an amazing polyglot based in Thailand, recommend learning the International Phonetic Alphabet (IPA) as a way to “map out” your mouth. Finally, many others recommend repeating entire sentences and progressively drilling down to individual words, while paying attention to how natives pronounce words depending on where they are placed in a particular sentence. All of those tips are great, and I recommend to implement one or many to your language learning routine. However, there’s something big missing here. Can you pinpoint what it is? As you may have guessed from reading the previous subheading, the pronunciation tips outlined above all deal with physical factors. In other words, they are tips on how to train your ear to recognize foreign sounds, and/or how to train your mouth to produce those sounds. But as we saw in the introduction of this article, the amount of variation in pronunciation attainment among adult learners suggests that age cannot be the only influence on attainment. If age cannot be the only influence, it is natural to infer, then, that physical factors cannot be either. In fact, and this may surprise you, I believe that physical factors are not even the largest determinants to pronunciation attainment. Now, you may think that this sounds ridiculous. After all, who wouldn’t want to have perfect pronunciation? The issue is a bit more complicated than it might appear on the surface, though, because the psychological, social and cultural barriers to pronunciation attainment are in fact more often than not unconscious, and these barriers are deeply entrenched in our minds, habits, and social circles. Research on social factors’ influence on second language pronunciation has shown that factors such as identity, discrimination, ethnic group identification, and other social variables influence pronunciation acquisition. A surprising amount of people unconsciously do not want to sound foreign. After all, their entire ethno-cultural baggage and identity is built upon their native tongue. Many also think that they would sound funny or ridiculous by trying to imitate how native speakers of a foreign language speak. Yet others might simply dislike how a particular language sounds. 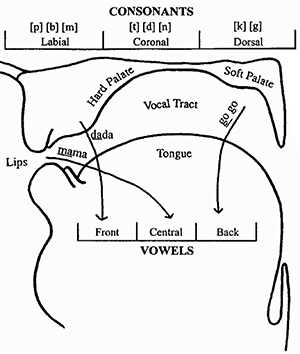 Lastly, difficulty in adapting to a different culture can also play a crucial role in pronunciation attainment. In contrast, people who are very keen on integrating into a particular society, social group, or even social class will have less trouble tweaking their pronunciation, and this often is an unconscious process. 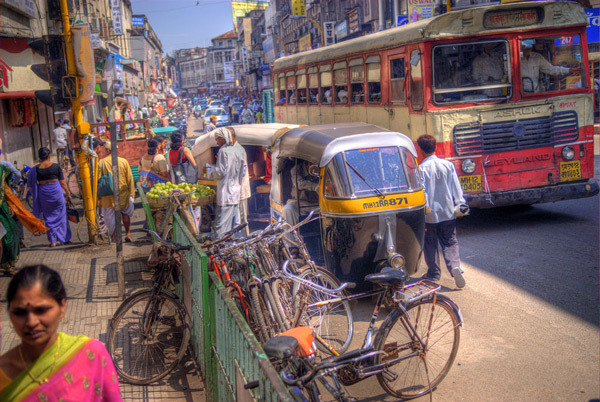 Even within a particular country and language, regional dialects and differences in pronunciation are often strong and varied. People who move out of rural areas and into the cities often find themselves losing their original “accent” because the accent found in their new area of residence happens to be politically dominant. It would be much harder to imagine, however, somebody already speaking the dominant variance of a particular language gradually switching to a regional dialect upon moving to the country. This simple example shows rather well some of the psychological factors at play. In the event that you actually understood what I talked about thus far, you might be asking yourself what the solution is. In other words, if a huge hurdle to improved pronunciation is unconscious, how can one even hope to overcome it? There is unfortunately no easy solution to this problem. However, there are some promising avenues. First of all, simply being aware of the manner in which language and pronunciation are related to your sense of identity will help. I encourage you to read more about this topic, since it’s not only very interesting but it’s also important if you wish to understand yourself better and come over some of the psychological barriers outlined above. You also need to make a conscious effort not to be scared, shy or embarrassed to sound foreign. Do not think that the language you are learning sounds “weird” or unpleasant. It’s just a matter of adaptation. You need to get used to news sounds, a different rhythm and a different intonation. A good analogy is that of music: often the best songs that you end up loving for years are those that take a long time getting used to. Don’t stop the tape after the first minute just because it doesn’t sound right at first! Lastly, you need to make a conscious effort to join a different social and cultural group from the one you are accustomed to. Don’t just learn about the language; learn in depth about the culture, the history and the customs of the place that speaks your target language. Be open minded and willing to learn and understand about something you knew very little about before. This, in itself, should go a long way in helping you acquire your target language. So, what do you think? Are you surprised to hear that one of the largest barriers to pronunciation attainment is actually psychological/social? Do you even agree with this, or do you have a different explanation? Share your story with the community, and let us know what successes or problems you have had with pronunciation up to this day. I’m really curious to hear your take on this topic! This is really interesting to me; my mum often regales stories of us going on holiday, either in the UK or abroad, and me taking on whatever accent was dominant within a few hours of arriving. I also quickly picked up and really enjoyed using foreign words with no embarrasment-I believe this was because I wanted to fit in, but also because I have a genuine interest in all things different to the norm. My husband also comments on how I often look like a local when we visit Spain or Italy, even though I have VERY celtic colouring; my expressions and use of hands apparently change! I think this is knocked out of many people when at school unfortunately. Maybe I should embrace this a bit more! That’s very interesting Melanie. I think having a genuine interest in a particular culture or language can be of huge help to acquire a better pronunciation. I have no trouble believing that even your hand expressions change when talking in a different language! It means to me that you’ve really internalized the language and the culture. After all, body language, pitch, rhythm and intonation are all part of a language, and they are all important parts. Many people, including me, even have different personalities when talking in foreign languages. Many polyglots mention that each language has its own “personality” and unique flavor to it. What do you think? While this is true, isn’t it also the case that amongst adult speakers of a second language (who learnt that language in adulthood) a native-like pronunciation is very much the exception, rather than the rule? I think the important part in the researchers’ findings is the fact that there is wide variation in pronunciation attainment among adult learners. Of course, native-like pronunciation attainment is the exception rather than the rule, but the fact remains that if pre-adolescents can technically all learn a foreign language with a native-like accent, what explains that after this period some will still retain a very good ability to develop good pronunciation, whereas some will not? I am not denying that physical factors are an important part of the equation. However, psychological factors seem to be overlooked most of the time but I think they are also of particular importance, and people should pay more attention to them if they wish to develop a better pronunciation. Firstly, thank you very much for your amazing article. As I first got to know English, I found it very hard to pronounce tons of words because the language is absolutely different from my mother tongue (Vietnamese). And then, I started to watch news and reality shows on TV and on the Internet and tried to imitate them. I hit the replay button countless times, paying attention to not only how the native speakers sound but also how their lips move. After that, I tried to speak like that in front of my class. Somtimes, I saw a number of classmates sneakily laugh at me as they thought that I was acting coy or showing off my English. I decided to ignore them. After quite a long time, maybe 2 years, I was taken aback with my own pronunciation. It has not been native-like yet but I have found no native speaker having difficulty understanding me. I am becoming more and more confident as my English is getting better, especially in terms of pronunciation. One more time, thank you for your sharing! Great story, Long Bui! Thanks for sharing it with us. I think watching reality shows or otherwise on TV is a really good way to improve one’s pronunciation, and I think part of the reason for this is that you really get to absorb the culture more directly. Have you found that psychological factors such as a desire to integrate to a particular culture, confidence, etc. have helped your pronunciation? What do you think was the biggest hurdle to improve your pronunciation in English? Thanks for the great site. I think learning the correct accent is just a matter of focusing and perhaps some concentrated feedback/coaching. Since anyone can get by without a good accent, many people just don’t really pay any attention to refining it. When it is necessary, as for opera or drama, for example, no one ever seems to have any trouble learning to speak with a good accent. Are there people who just are unable to learn a good accent even with decent coaching? Bob, that’s an excellent question. My personal take on this is that if someone doesn’t want to be part of a particular social group, or if someone doesn’t like (consciously or not) to sound “foreign,” even with decent coaching they might not be able to develop good pronunciation. Of course, this is somewhat of a speculative statement because I have never actually studied/observed anybody who actually got coached on their accent and still had poor pronunciation, but this would be my take on it. You have to also remember that people who decide to get coached and who truly want to get a native-like accent might constitute a qualitatively different group from people who would not look after (or refuse) doing that. Only looking at people who underwent accent reduction training would probably produce results lacking external validation, since the participants are not randomly selected. Anyway, it’s an interesting topic for sure, I’d love to hear what other people think about this. Thanks for your thoughts. I love your site so much that I’m savoring combing back through all your articles and catching myself up-to-date. However, I need to be careful to let it take too much time away from Italian. I do have a tendency to enjoy reading about doing something as much or more than actually doing it! You’ll be hearing more from me. It’s so nice to find a community like this. I’m not a polygot by any means, but I have studied lots of languages, and love the whole idea of language, as everyone here clearly does, too. Thank you for doing all this. By the way, what is your native language, and where do you live? I’m originally from Quebec, Canada, so my native tongue is French. I currently live in Ottawa. What about you? United States, but lived in Japan in high school and in Spain just after college. Now retired, my wife and I are embarking on a 3-5 year time of living abroad in a variety of countries, yet to be chosen (200 pins in my Google map), but starting with six months in Italy. Have studied Latin, French, Spanish, German, and Italian at various levels, mostly in college a long time ago, but not fluent in any of them. Wow, what an amazing plan! Are you going to write about your travels? I’m absolutely passionate about travels (part of the reason for my passion for languages stems from this other passion). Looking forward to hear about how this all comes about! No particular plans to write. But I am a writer and editor (on yoga philosophy), so who knows. Nice article. Yes, I do agree with your assessment of the issue. It reminds me of the Chinese guy who moved to Canada and picked up a cowboy-style American accent. What was his name? Anyway, if I act French, my accent gets way better. As a teen, I learned Spanish while living in Spain as a foreign exchange student. My accent was apparently pretty native after 9 months because a taxi driver in Barcelona told me he thought I was from Spain, but now at nearly 43, my accent is not so great! The psychological factors play a bigger role for adults than for children, who don’t seem to notice or care. I agree Lisa, I think kids simply don’t seem to notice or care (about sounding foreign, etc.) I think adolescence is an important period in one’s life through which one really gets to join particular, well defined social groups. It’s also an important period for identity formation. I’m not a psychologist but that’s my 2 cents! Children are very good “parrots”! Excellent article, it really got me thinking! I’m living and studying in China, in Guangzhou to be exact. I do want to improve my pronunciation, but after reading your blog post I realized that I might be hindering my self because I don’t want to sound like a native. Chinese speak in a much louder voice for example than us Finns, which makes me a bit uncomfortable. And Chinese girls have a really cute way of speaking sometimes, which feels weird for me to imitate too. I’m wondering, could this be a big reason to that I find it hard to improve my pronunciation? Hi Sara. I have absolutely no doubt that this plays a big part in your difficulty improving your pronunciation. Do you make a concerted effort to integrate yourself to Chinese society? i.e. do you go out with Chinese, do you immerse yourself socially and linguistically, etc? Ultimately, however, you need to remember that social identity and pronunciation are also closely related within a particular language. The intonation and pitch that you may dislike in Chinese might be a version spoken by a particular social group (or even specific of a region). Different age and social groups as well as social classes widely vary in their pronunciation, intonation, and even body language (think about Finnish high school students, laborers, bankers, or elderly people. I’m sure they speak Finnish in very different ways). So there are good chances that the particularities of the language that you may dislike are not to be found across regions, classes, and groups. In any case, I hope this helps, and I wish you good luck with your Chinese. Update me on your progress! Hi Sam, thank you for a quick reply. I’m actually quite immersed in the culture that I am planning on getting married to a local and have been living with him and his parents for almost a year. What I would like to do more, is to make Chinese friends outside home. You are absolutely right! People do talk in a different way based on many differences. It would be a good idea to make more local friends from groups I could better identify with, grad students and young working adults for example. Thank you for giving me so much to think about, Sam. I will keep you updated! These are all the reasons why I created, patented and produced my method of language learning! Kudos for articulating in another way, what I do, everyday. What you describe is exactly what I have lived in my process of learning English. But in my case I have been conscious of it all the time. 40 years ago I must leave my country for political reasons and become an immigrant. Despite I am very happy now to know English because I have almost universal access to information and literature I cannot bring myself to welcome the English language inside me because I always see it as the language spoken by the nation responsible for my exile. Thanks for sharing your story Eduardo. May I ask where you are originally from? How hard was it to learn English for you given your situation? This is a very important subject to me as I have a strong foreign accent when I speak English. That even sometimes makes it difficult to understand me. I’ve been desperately trying to improve my accent for about a year. I don’t know if I have some problems to sound foreign, but I don’t really feel like that would be my fear. (like to pronounce another vowel in unstressed position). But seems nobody is having problems to understand me here. Which is not the case with English. The fear of being ashamed trying too hard to mimic a native speaker of the language fits better to describe my problems. But I don’t believe this fear is that big to hold me back for such a long time. This is a super insightful post, particularly the bits on the psychological and social aspects of your accent in a foreign language. I myself am a big fan of using the IPA for foreign language pronunciation too, but have spent surprisingly little time thinking about these sort of interpersonal and cultural aspects, so it’s quite thought provoking. I learned Dutch when I was 21 but even after about a year I had a very inconspicuous accent, and nowadays I can normally pass for native if I don’t make a grammar mistake of some kind. I think this had a lot to do with the strong positive connection I felt to the country and the culture and how important it was for me to ‘fit in’ (I’m also half Dutch by heritage, but never heard the language growing up). In Spanish, on the other hand, I think I speak pretty clearly but would never be mistaken for native (and have even heard once or twice that I have a Dutch accent, haha), but I don’t have any particularly strong personal or social ties to that language. Awesome post, I’ll be referencing it in my own next blog post on pronunciation! I think that you are missing another factor in the development of pronunciation and that is personality. I find that very outgoing, fun, not type A personalities are more relaxed in their acquisition and much less afraid to make mistakes. They seem to “pick up” the language with better native-like pronunciation. Those who are more shy and tentative have fewer opportunities to “practice” and take longer to acquire that native-like pronunciation. I was also surprised a couple of years ago in one of my graduate classes that not everyone wants/needs to sound like a native speaker. For the past 40 years, I always thought the goal was to speak like a native but they say that many learn a second language for business reasons and they really don’t care if they attain that level of fluency.